Versus Evil and Mild Beast Games today announced that At Sundown will launch on Nintendo Switch on January 22, 2019. 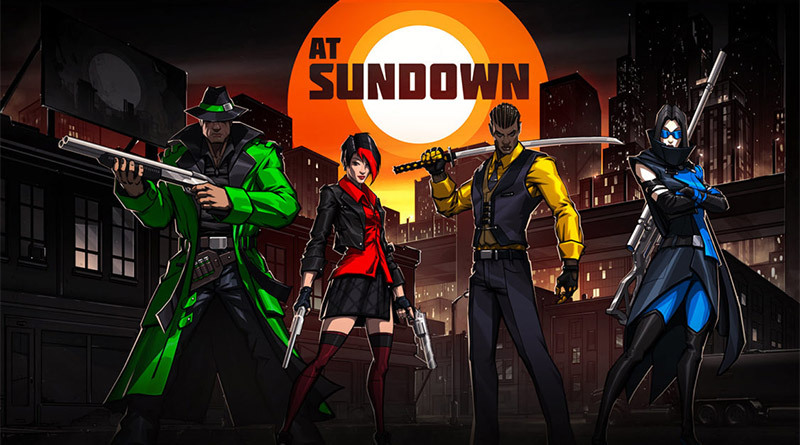 At Sundown is a hide-and-seek shooter where the maps are covered in darkness and light is your enemy, as four players compete in a deathmatch to be the best! Strategic gameplay is vital in the shadows of this dark world in which you only become visible when you shoot, dash or slash. See or be seen, kill or be killed. How long will you survive At Sundown? Unique stealth driven arena combat with dynamic twists and turns where the maps are covered in darkness and light is your enemy. Compete with up to four friends in online deathmatch or at home in local deathmatch to see who will dominate! Play against AI opponents or take on special challenges to prepare for the live showdown. Dominate your opponents across multiple maps, each with different light mechanics. Unlock new zones as you level up!